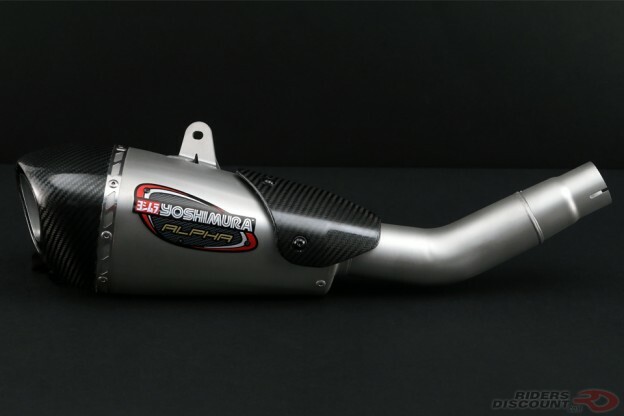 This entry was posted in News, Product Reviews and tagged Riders Discount, Triumph Daytona 675, Triumph Daytona 675R, Yoshimura, Yoshimura Alpha T Slip-On Exhaust on August 15, 2017 by Riders Discount. 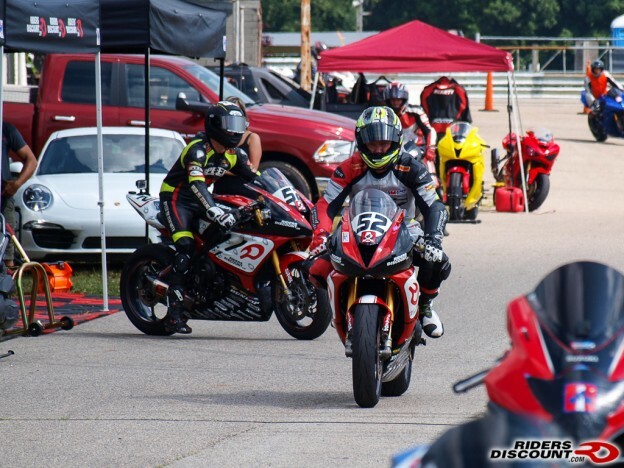 This entry was posted in News, Race Team and tagged 675R, AMA Pro, AMA Pro GoPro Daytona SportBike, AMA Pro Racing, Barber, Barber Motorsports Park, Danny Eslick, Daytona Sportbike, GoPro Daytona SportBike, Laguna Seca, Motorcycle Racing, Press Release, Racing, Riders Discount, Road Racing, Sportbike, Triumph, Triumph Daytona 675, Triumph Motorcycles on June 24, 2014 by Riders Discount. 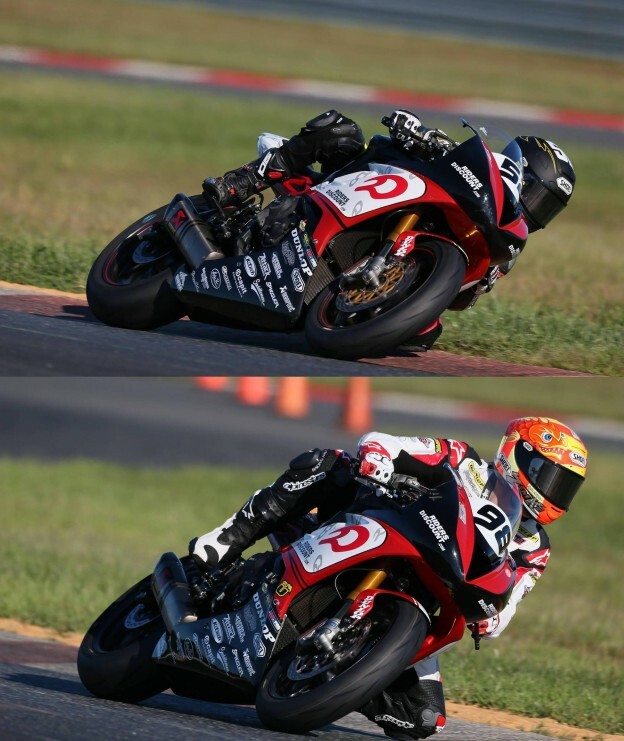 This entry was posted in Athletes, News, Race Team and tagged 675R, AMA Pro, AMA Pro GoPro Daytona SportBike, AMA Pro Racing, AMA Road Racing, Daytona Sportbike, Motorcycle, Motorcycle Helmets, Motorsport, Motorsports, Press Release, Racing, Riders Discount, Road Racing, Team RidersDiscount.com, Triumph, Triumph Daytona 675, Triumph Motorcycles on June 4, 2014 by Riders Discount. 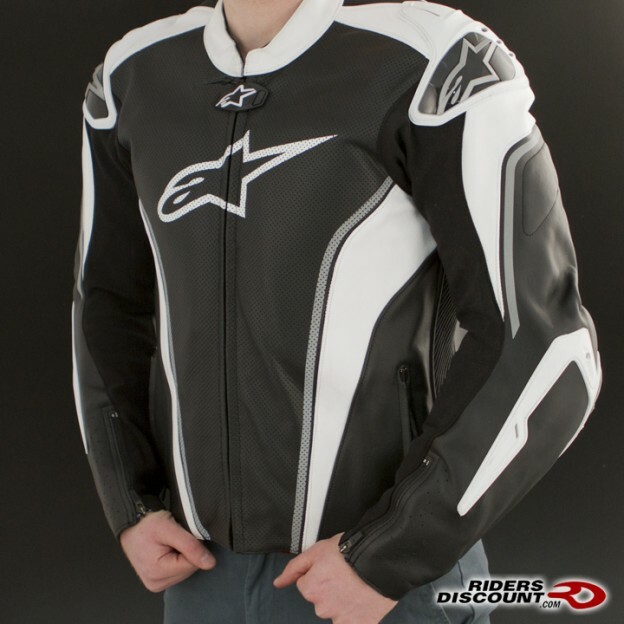 This entry was posted in Product Reviews and tagged Alpinestars, AMA American SuperBike, AMA Daytona SportBike, AMA Pro, AMA Pro Racing, AMA Road Racing, Daytona Sportbike, Ducati 848 EVO, leather suit, Motorcycle, Motorsport, Motorsports, Product Review, Racing, Replica, Riders Discount, Road Racing, safety, safety gear, Suzuki GSX-R1000, Team RidersDiscount.com, Triumph, Triumph Daytona 675, Triumph Motorcycles, WERA, Yamaha YZF-R6 on March 31, 2014 by Riders Discount. 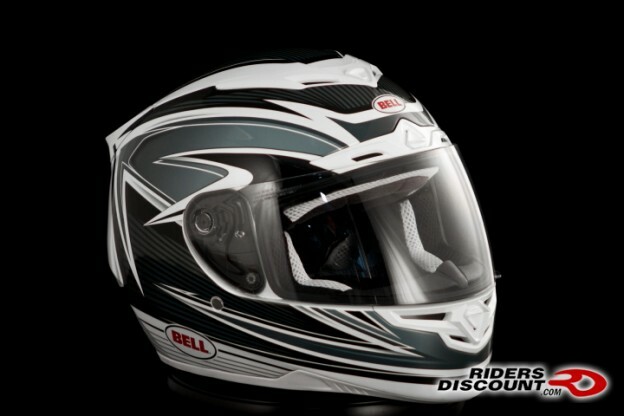 This entry was posted in Product Reviews and tagged Arai helmets, Bell Helmet, Motorcycle, Motorcycle Helmets, Motorsports, Product Review, Racing, Riders Discount, safety, safety gear, Sportbike, Suzuki GSX-R1000, Team RidersDiscount.com, Triumph, Triumph Daytona 675, Triumph Motorcycles, WERA, Yamaha YZF-R6 on March 31, 2014 by Riders Discount. 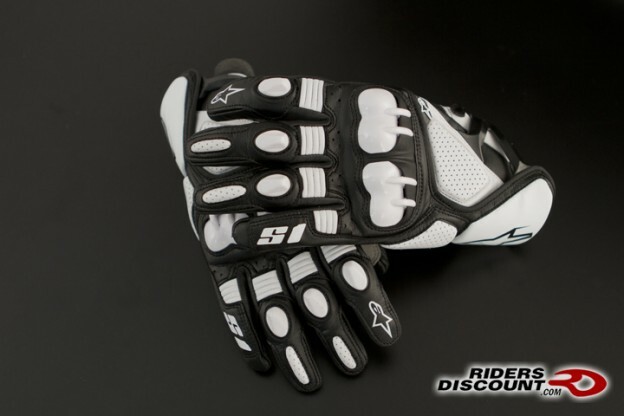 This entry was posted in Product Reviews and tagged Alpinestars, Gloves, Leather, Motorcycle, Motorcycle Helmets, Motorsport, Motorsports, Product Review, Racing, Replica, Riders Discount, Road Racing, safety, safety gear, Sportbike, Street, Superbike, Suzuki GSX-R1000, Team RidersDiscount.com, Triumph, Triumph Daytona 675, Triumph Motorcycles, WERA, Yamaha YZF-R6 on March 31, 2014 by Riders Discount. 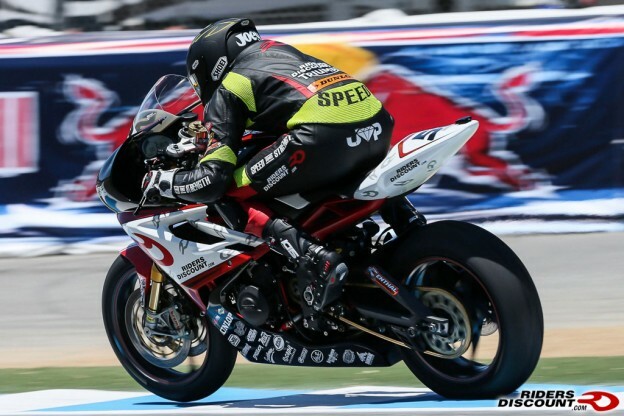 This entry was posted in Race Team and tagged AMA Daytona SportBike, AMA Pro Racing, Daytona Sportbike, Jake Zemke, Joey Pascarella, Laguna Seca, Riders Discount Triumph, Triumph Daytona 675, Triumph Motorcycles on September 25, 2013 by Riders Discount. 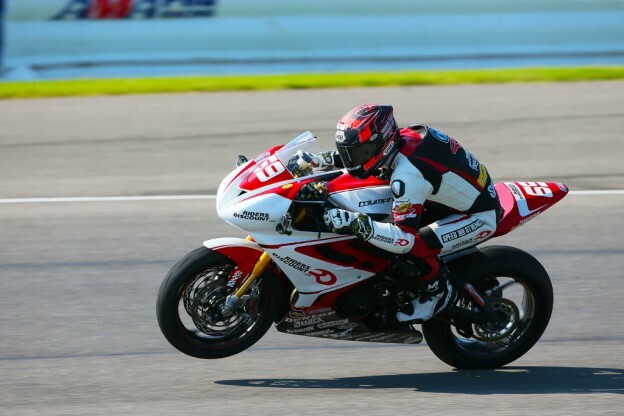 This entry was posted in Race Team and tagged AMA Daytona SportBike, AMA Pro, AMA Pro Racing, Jake Zemke, Joey Pascarella, Press Release, Riders Discount, Triumph Daytona 675 on September 18, 2013 by Riders Discount. 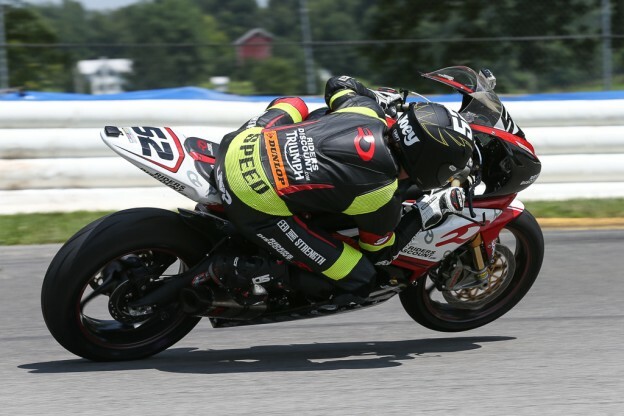 This entry was posted in Athletes, News, Race Team and tagged AMA Daytona SportBike, AMA Pro, AMA Pro Racing, AMA Road Racing, Daytona Sportbike, Joey Pascarella, Motorcycle, Motorsport, Motorsports, Press Release, Racing, Riders Discount, Road Racing, Triumph Daytona 675 on July 16, 2013 by Riders Discount. 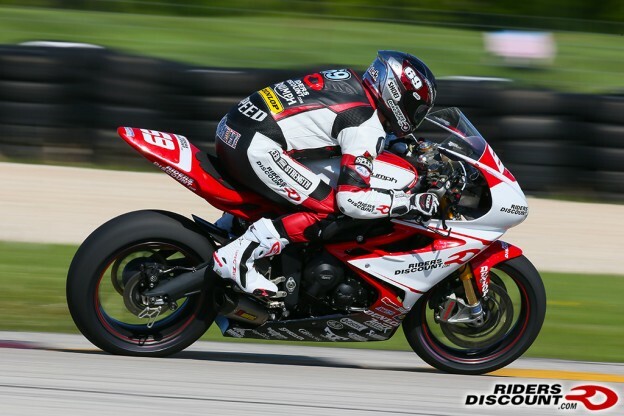 This entry was posted in Race Team and tagged 675R, AMA Daytona SportBike, AMA Pro Racing, Daytona Sportbike, Grattan Raceway, Joey Pascarella, Motorcycle, Motorsport, Press Release, Racing, Riders Discount, Triumph Daytona 675, Triumph Motorcycles on July 8, 2013 by Riders Discount.